Britain’s Prime Minister, Theresa May, has pledged to take the country out of the European Union. But before last year’s referendum on 23 June, Ms May was a firm advocate against Brexit and for Britain remaining in the EU. Can we trust a prime minister whose principles blow so easily in the wind? Is this really the sign of a ‘strong and stable’ leader? 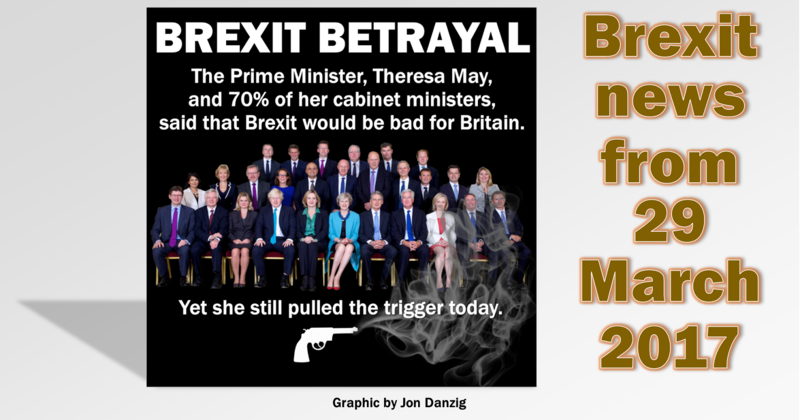 The previous Prime Minister, David Cameron, felt compelled to resign after he urged the country to vote ‘Remain’ but the electorate voted instead to ‘Leave’. But former Home Secretary, Theresa May, felt no similar compunction to go, despite the fact that she too urged the country to ‘vote remain’. 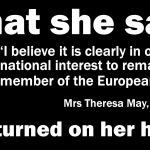 In a speech in April last year, Mrs May spoke firmly against Brexit and in favour of Britain’s continued membership of the EU. 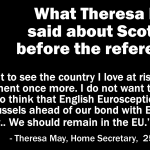 In addition, Brexit might prove fatal to “the Union between England and Scotland“, which she did not want to happen. 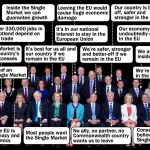 “The reality is that we do not know on what terms we would win access to the single market. • “Remaining inside the European Union does make us more secure, it does make us more prosperous and it does make us more influential beyond our shores. • “I believe the case to remain a member of the European Union is strong. But as Prime Minister, Theresa May has completely changed her tune. She will now willingly take the country out of the Union and the EU Single Market, without even a glance back, and against her own advice. How is it possible for Theresa May to take Britain in a direction which only a year ago she advocated was most definitely not in the country’s best interests? After all, nobody forced her to be the gung-ho Brexit Prime Minister, did they? 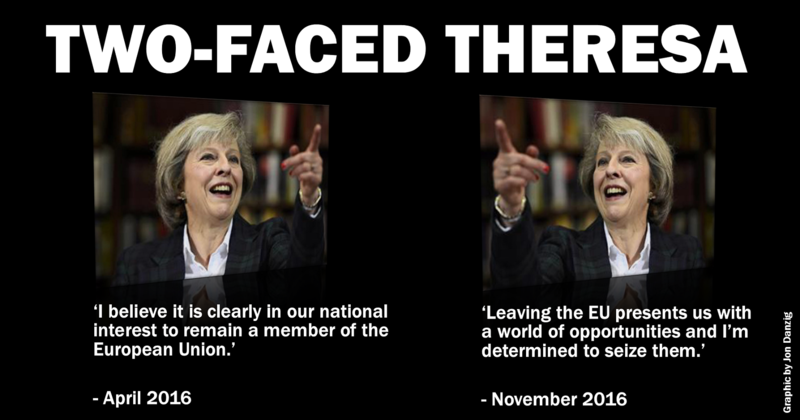 But on 8 June, the electorate has an opportunity to force two-faced Theresa and her Tory regime out of office. 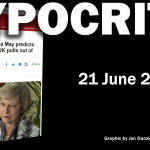 This entry was posted in Current Affairs, Democracy & Citizenship, Economics & Trade, Global & International, Media & Communications, Politics & Public Policy, The EU and tagged 8 June 2017, brexit, European Union, General Election, Remain, Theresa May. Bookmark the permalink.